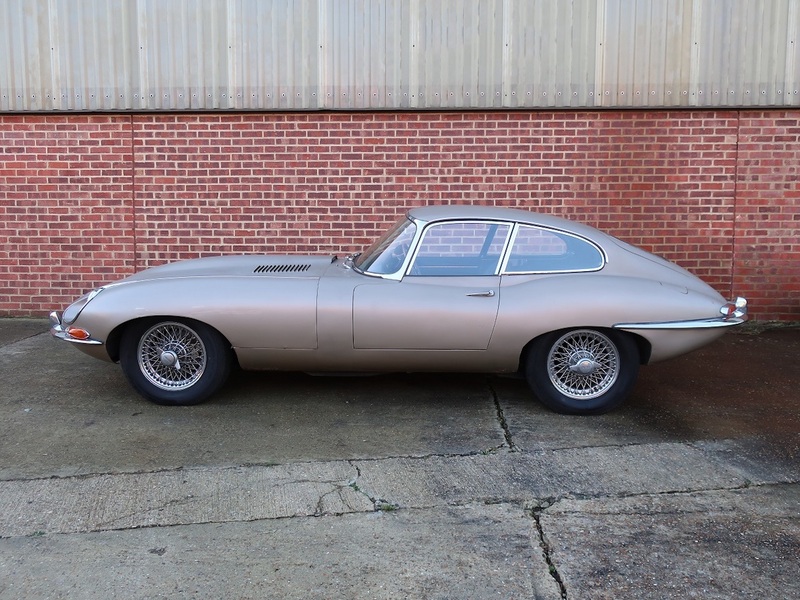 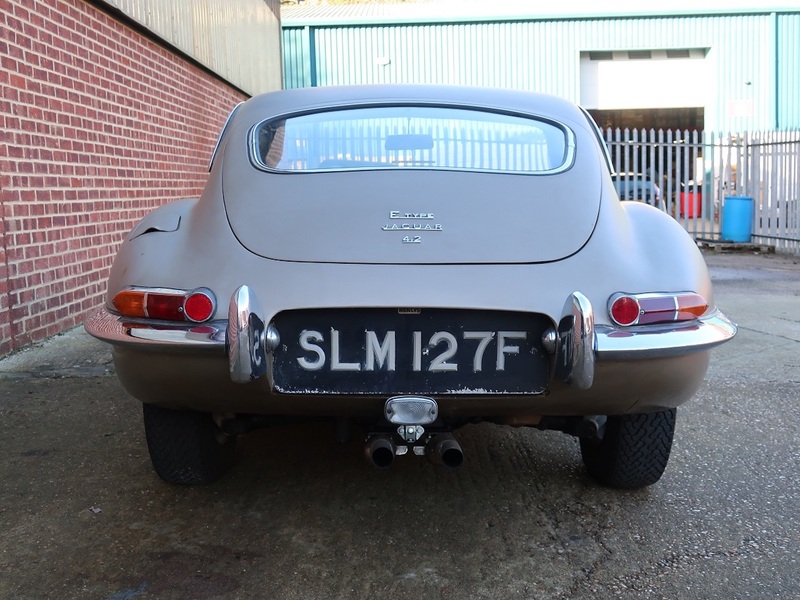 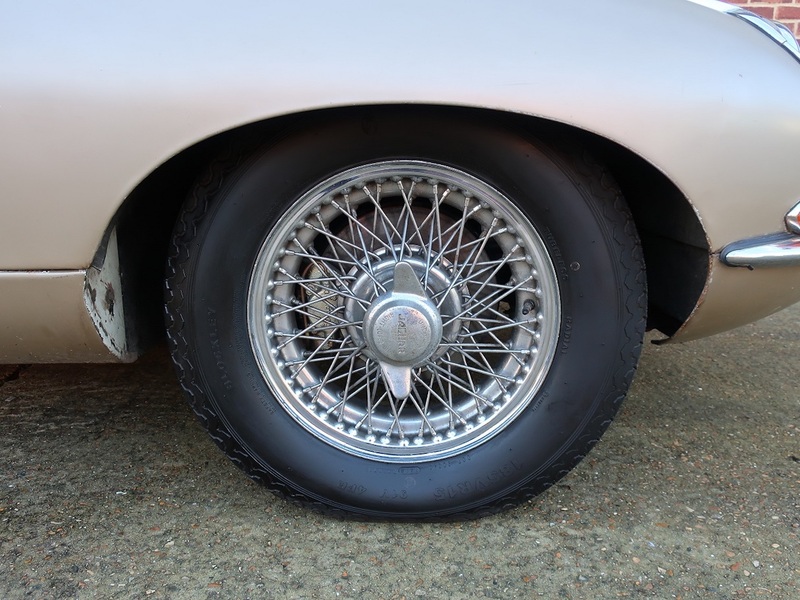 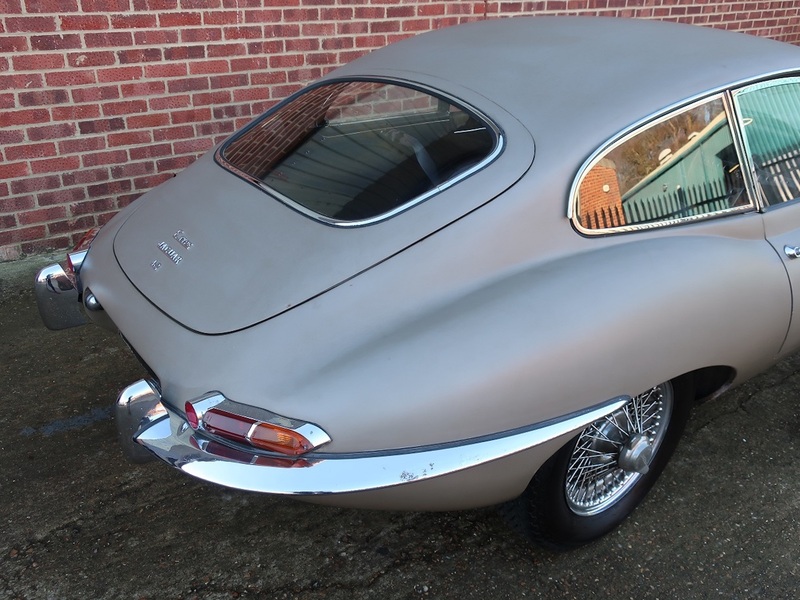 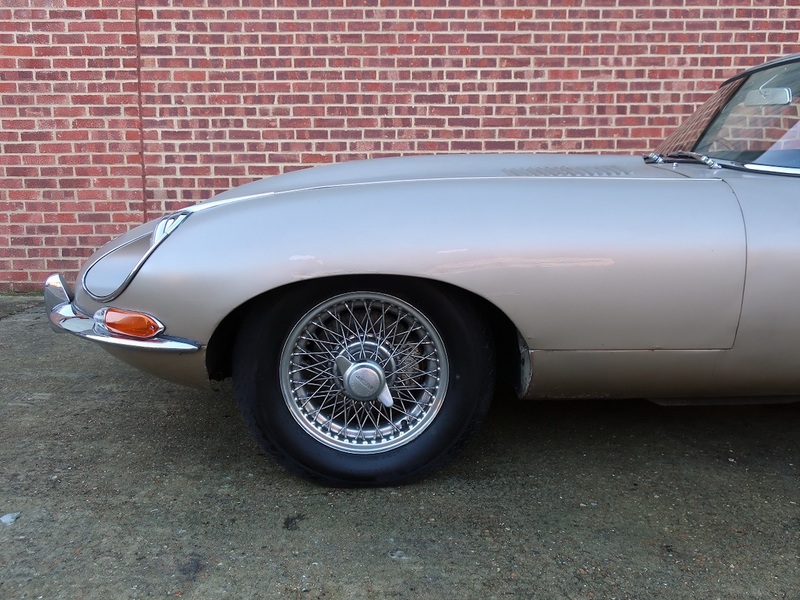 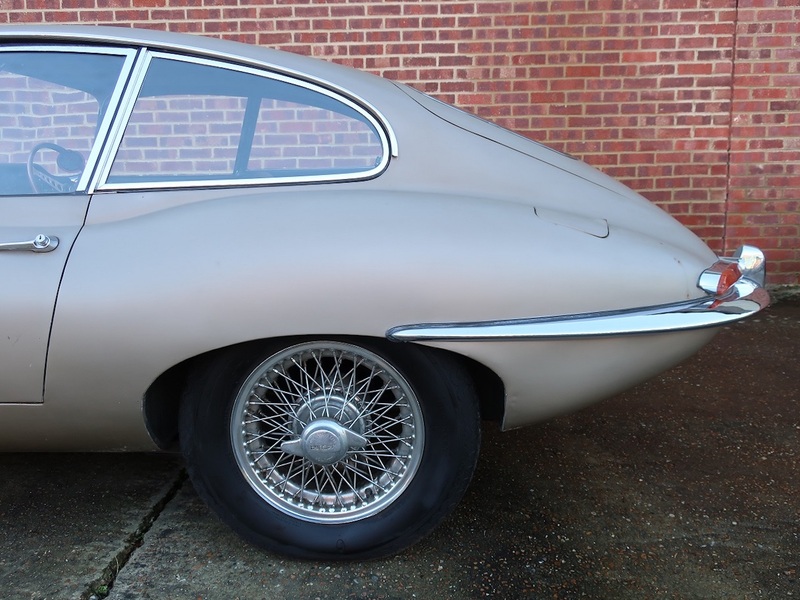 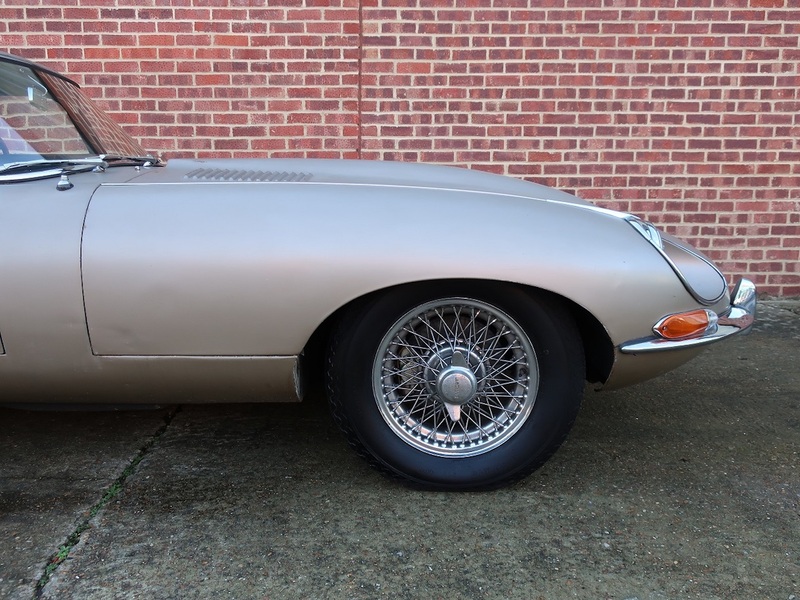 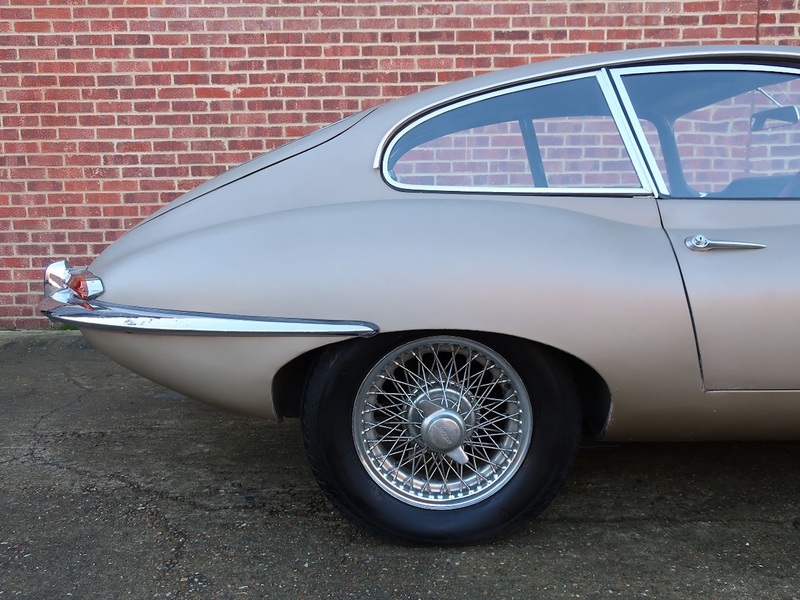 This series 1½ 4.2 litre E Type FHC was built 25th August 1967 and dispatched from the factory 11th Sept. to Jaguar main agents Henly’s London. 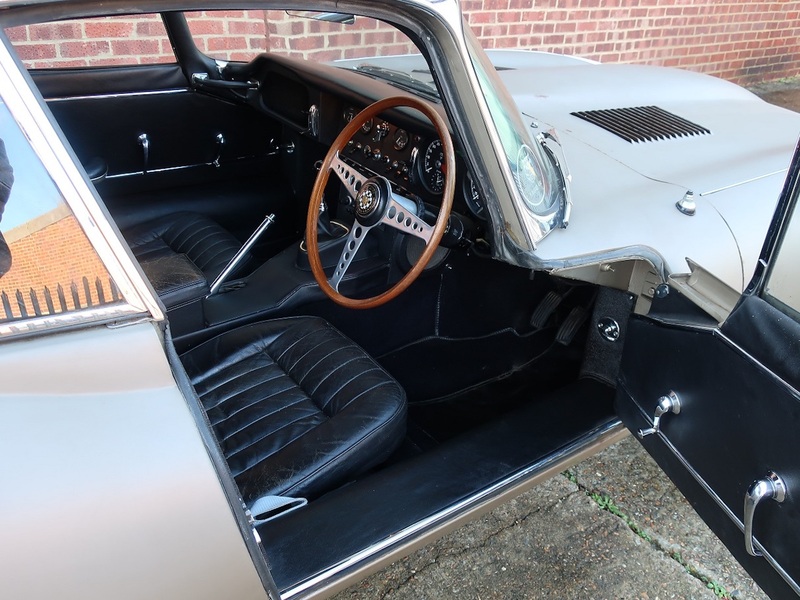 Delivered to their showroom at 385 Euston Road W1 it was purchased by its first owner who took it home to Beckenham Kent where it remained until 2014. 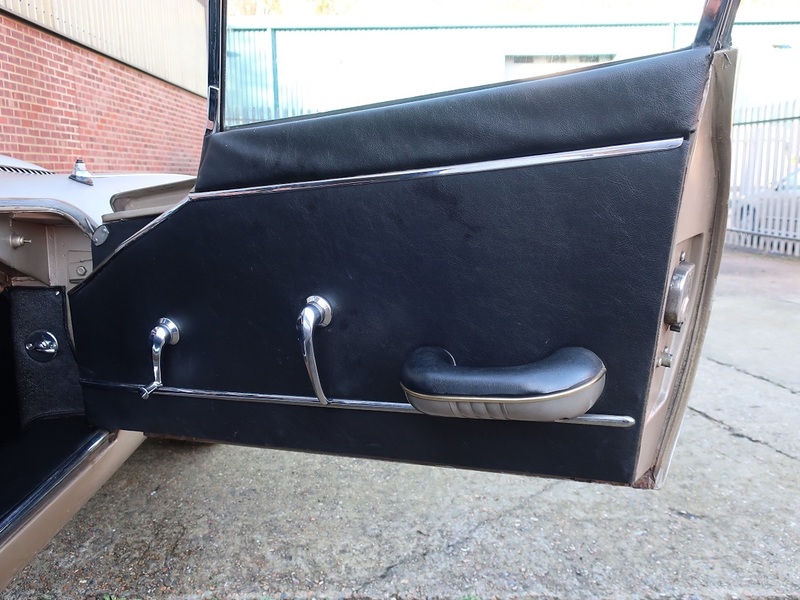 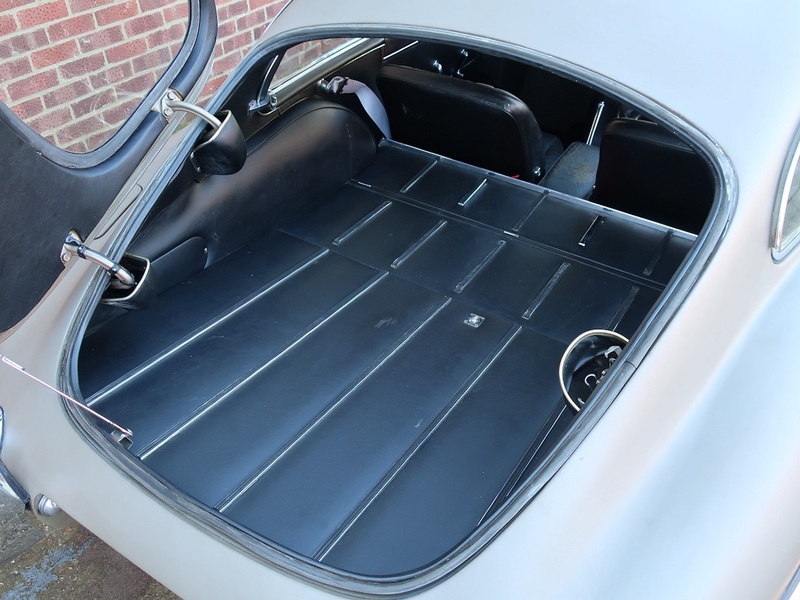 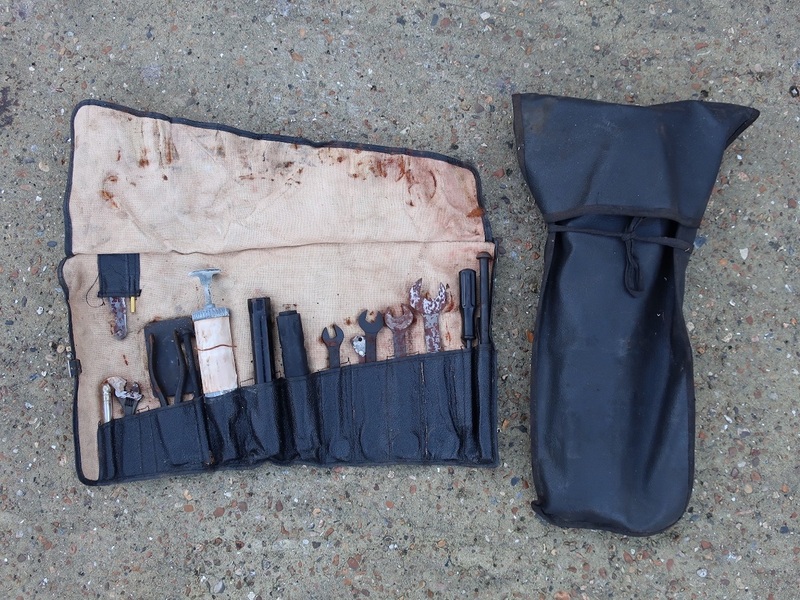 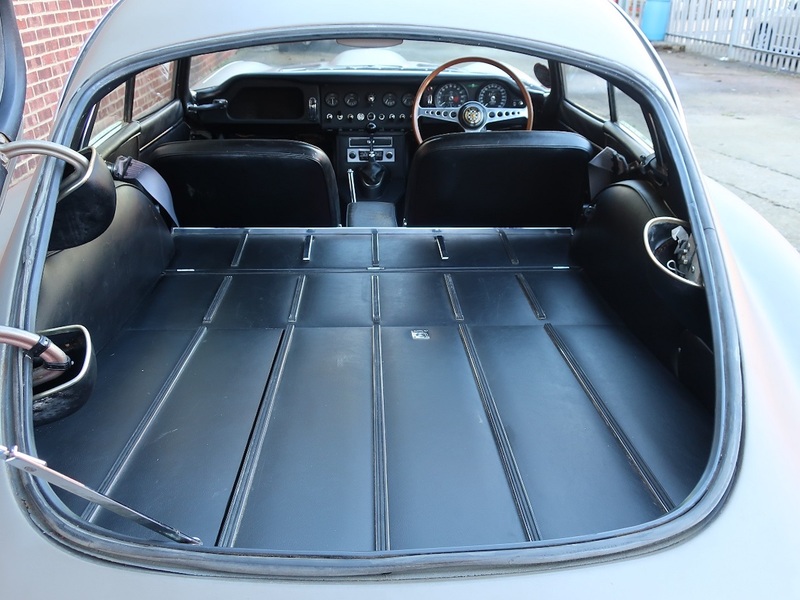 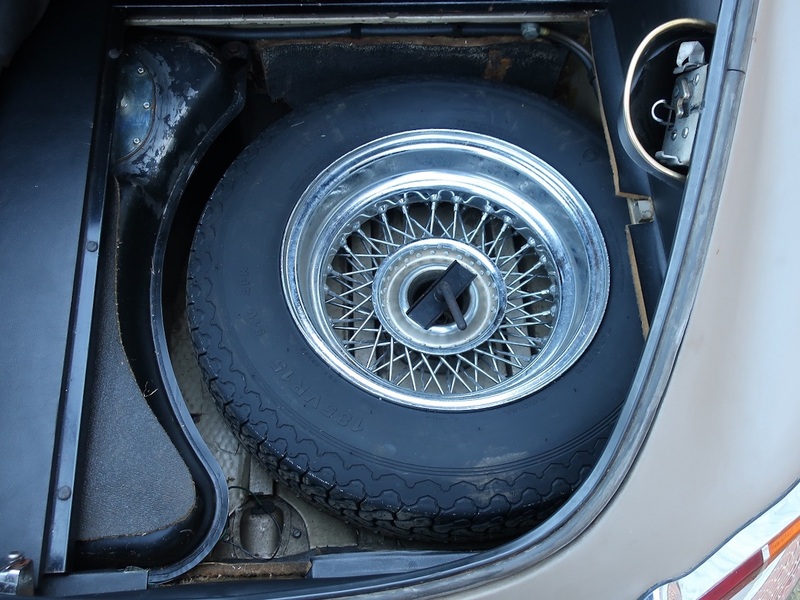 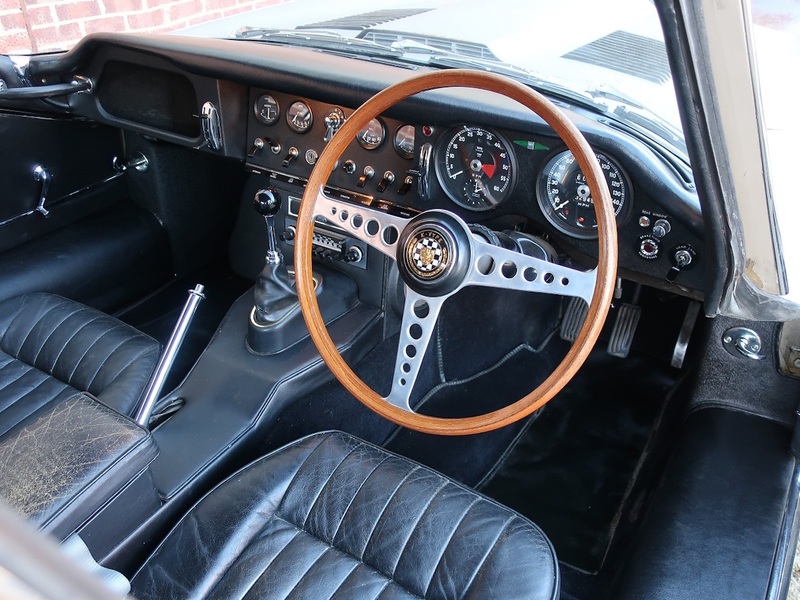 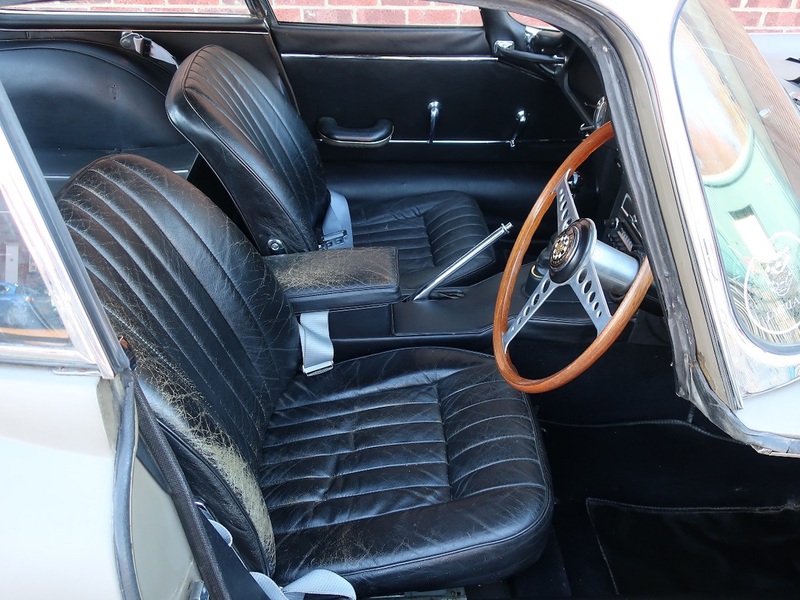 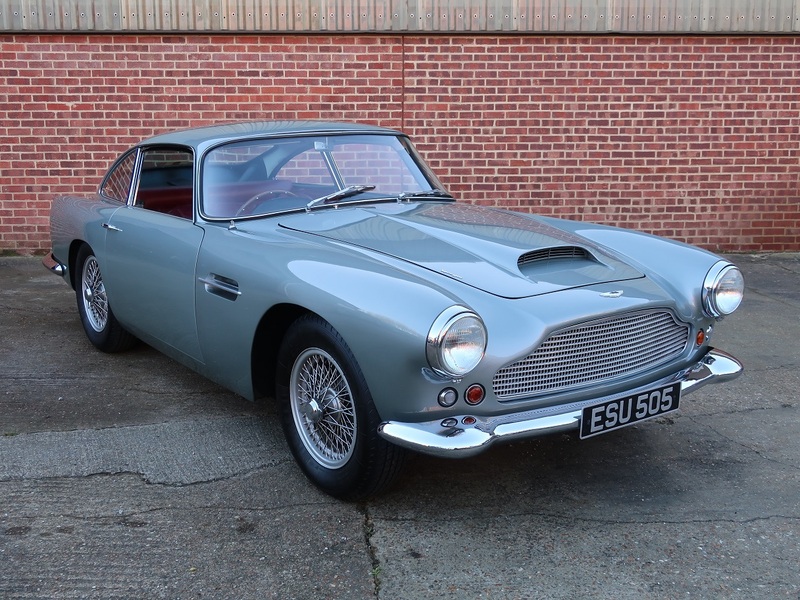 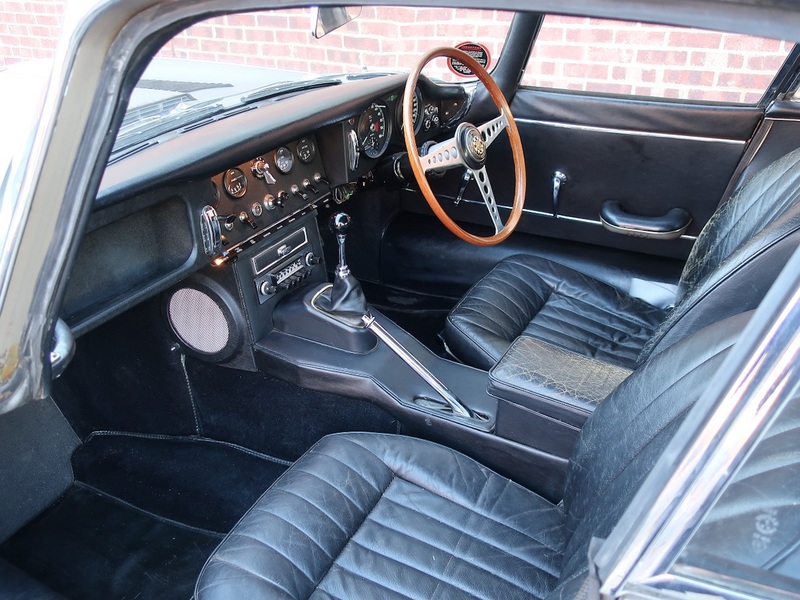 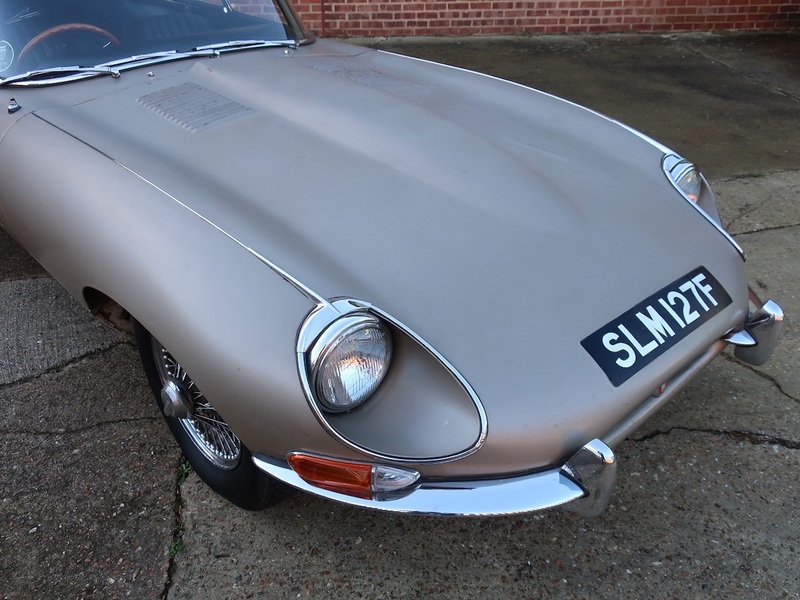 The car was laid up in the early 1970’s having only covered a documented 30,525 miles in a warm dark garage and remained there until it was gently and very carefully recommissioned for road use by the second owner. 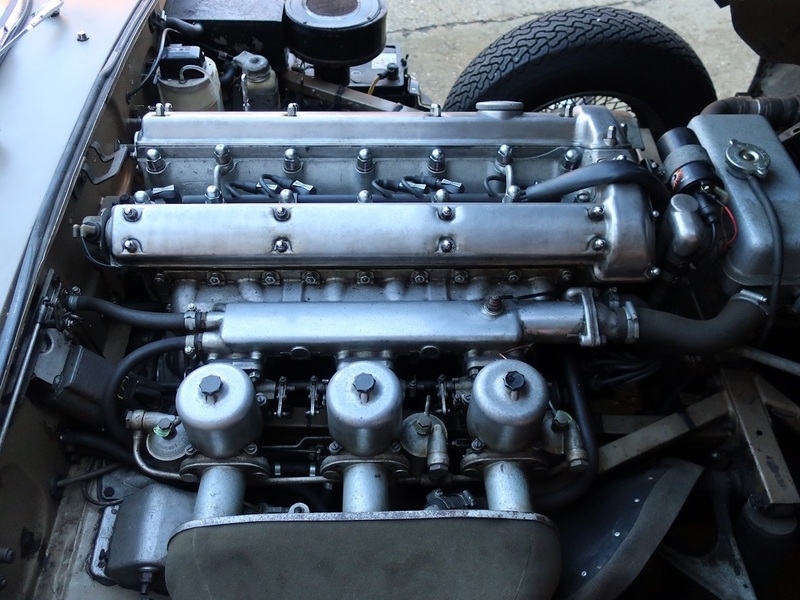 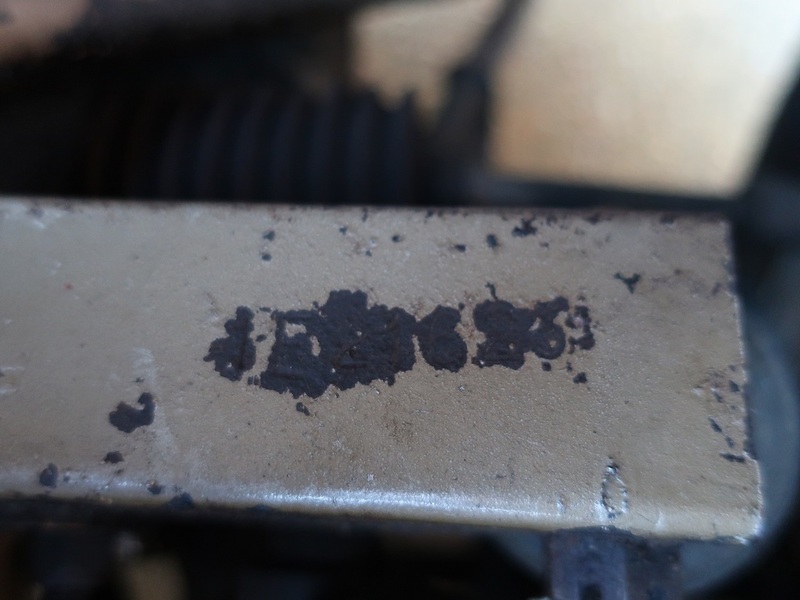 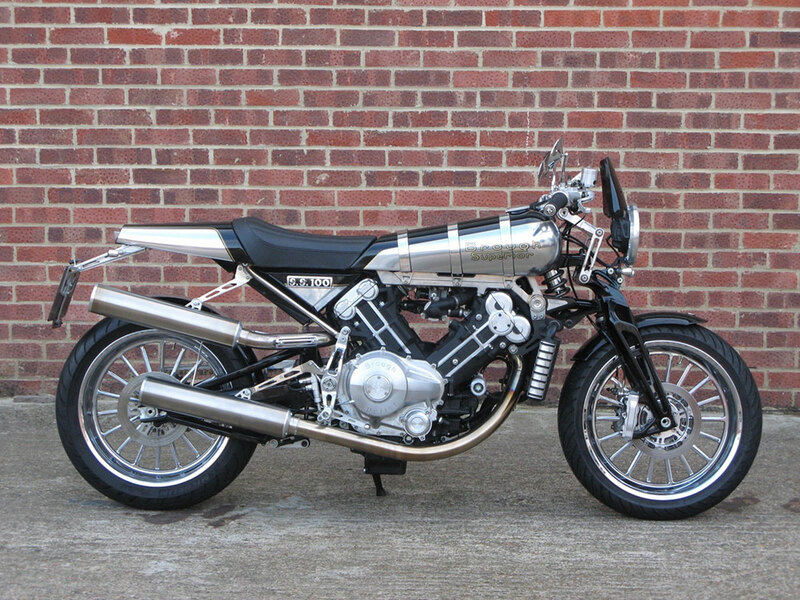 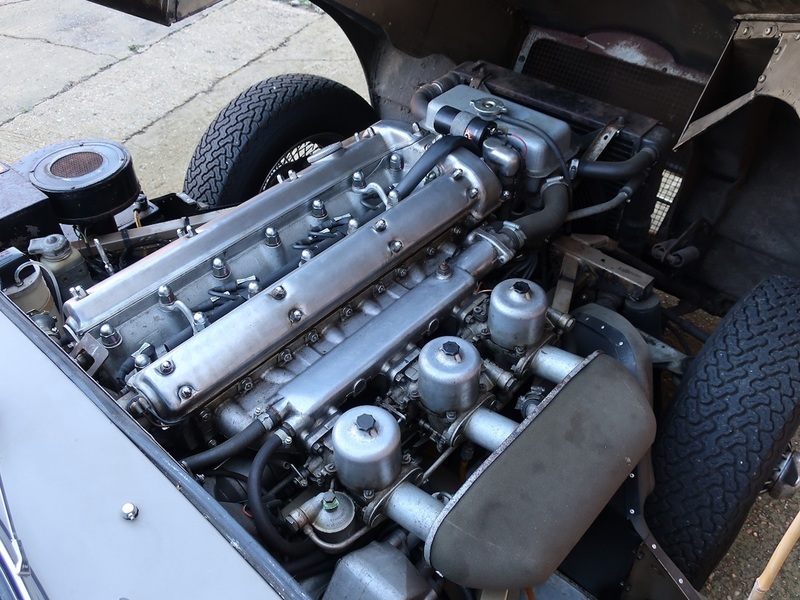 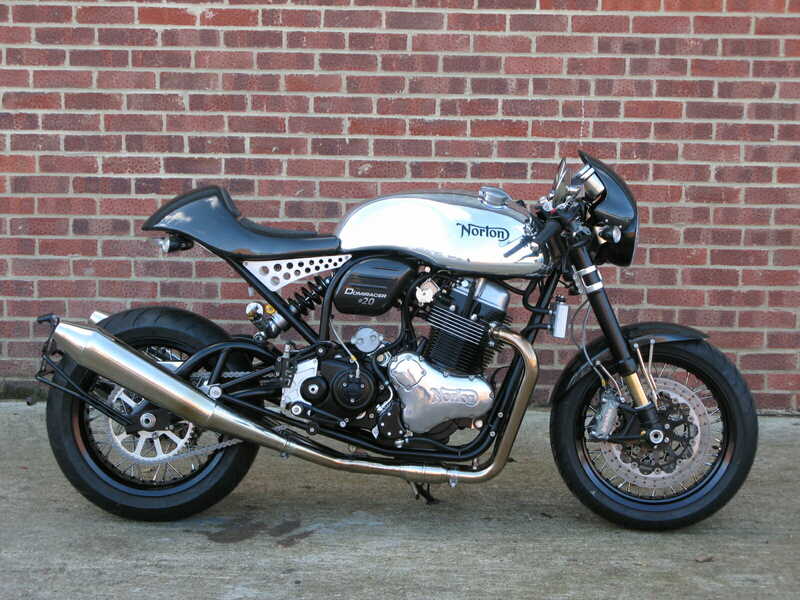 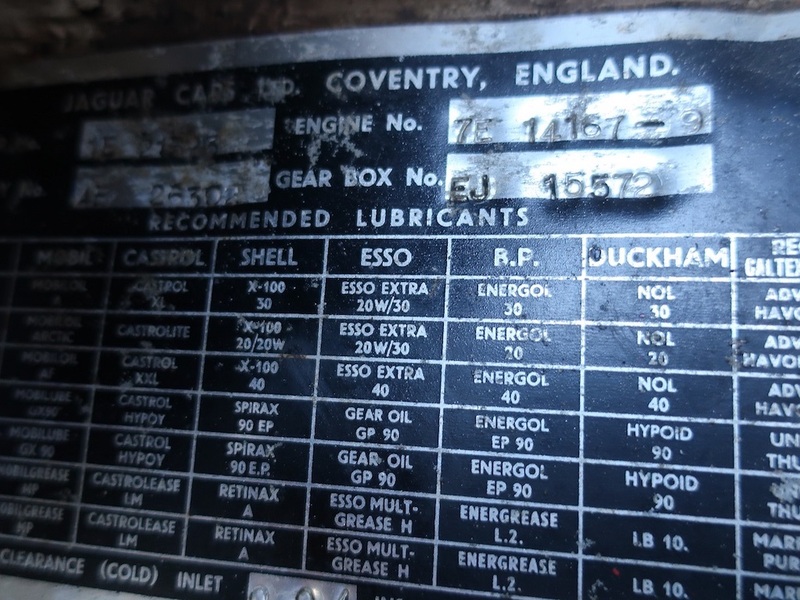 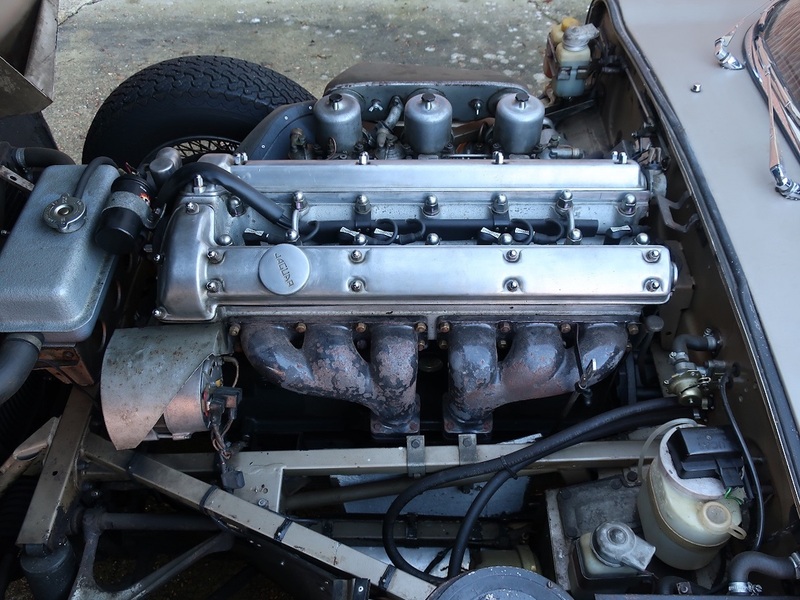 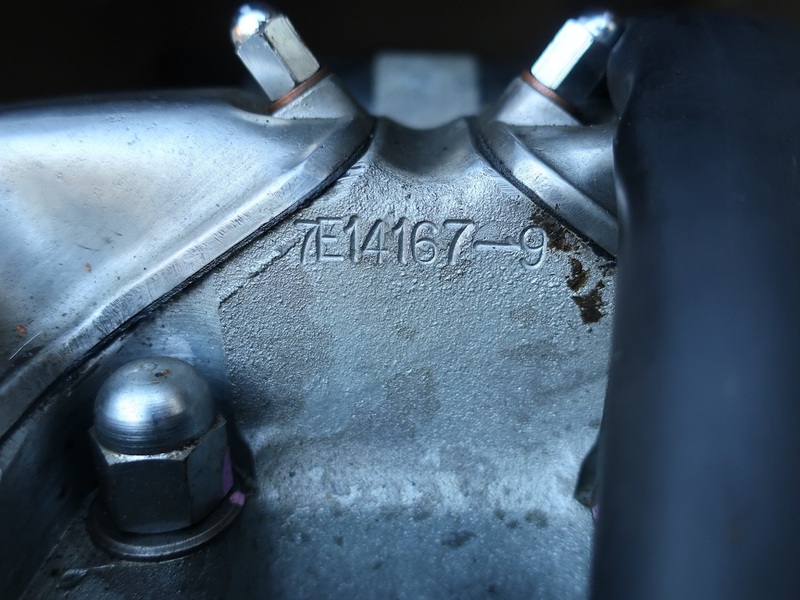 The engine received a top end rebuild with new pistons and rings and is excellent working order – it is now still only showing a genuine 32,945 miles. 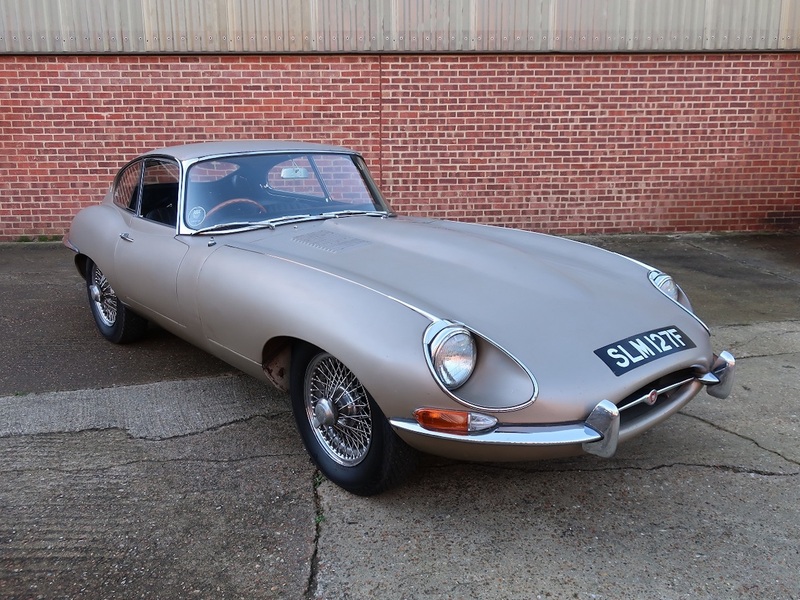 A matching number right hand drive example the car is unrestored but in amazingly well preserved condition, the original colour of Opalescent Golden Sand has lost its sheen but the body is showing almost no sign of corrosion and the black leather interior is in good serviceable order for a car of this vintage. 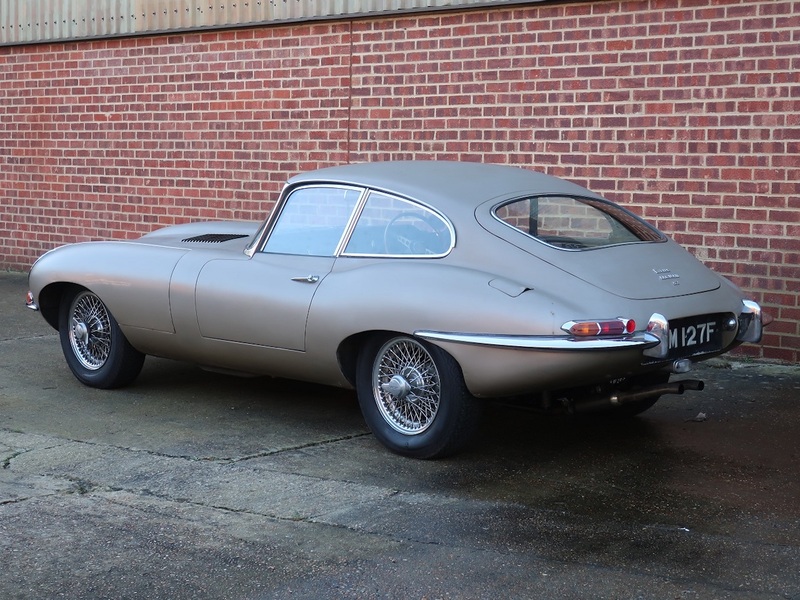 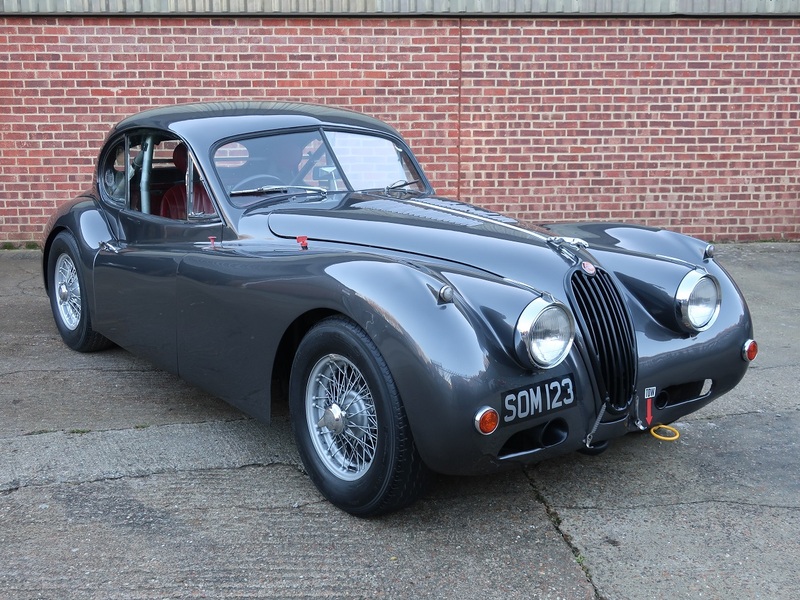 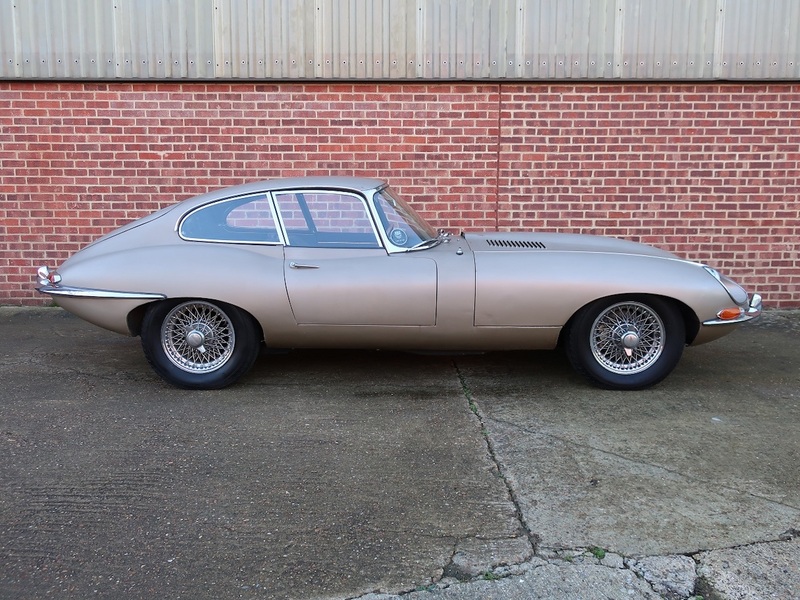 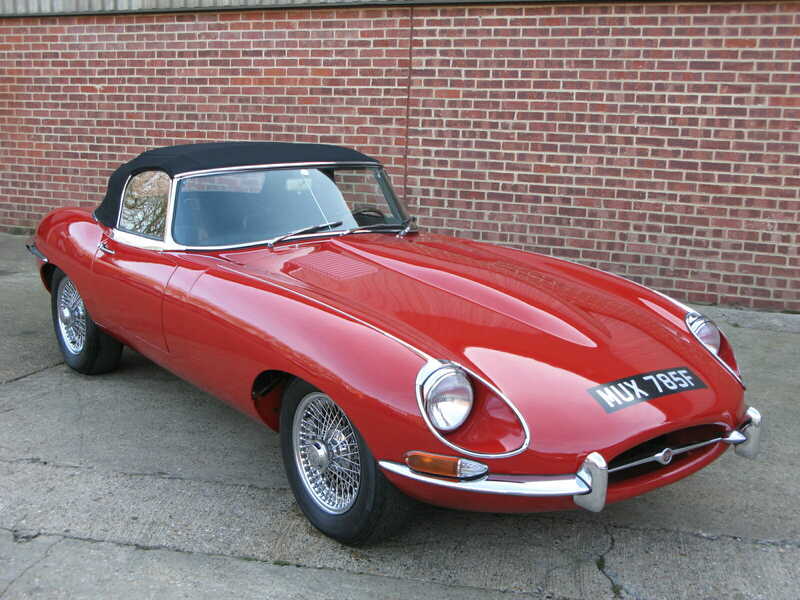 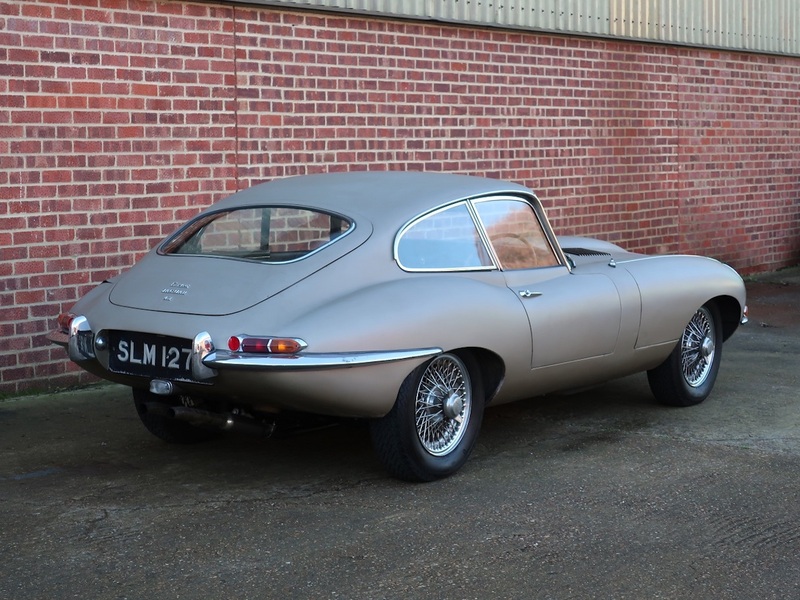 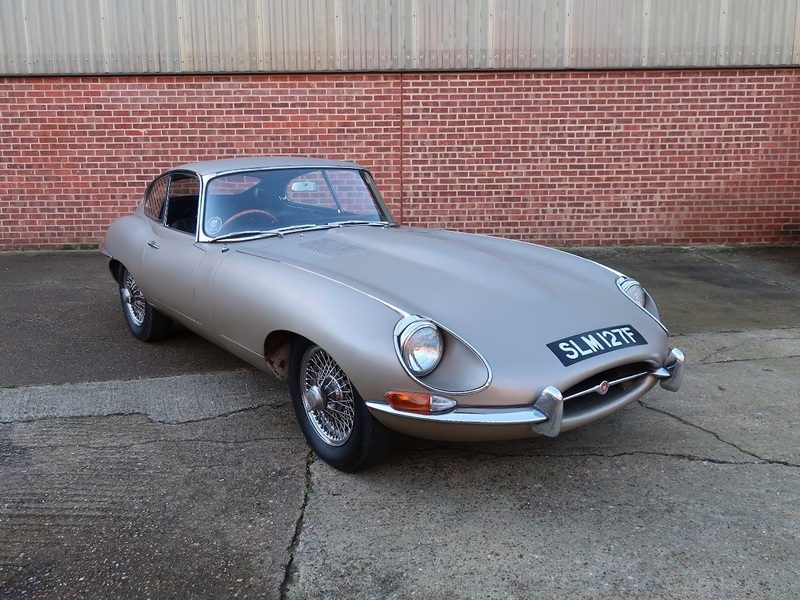 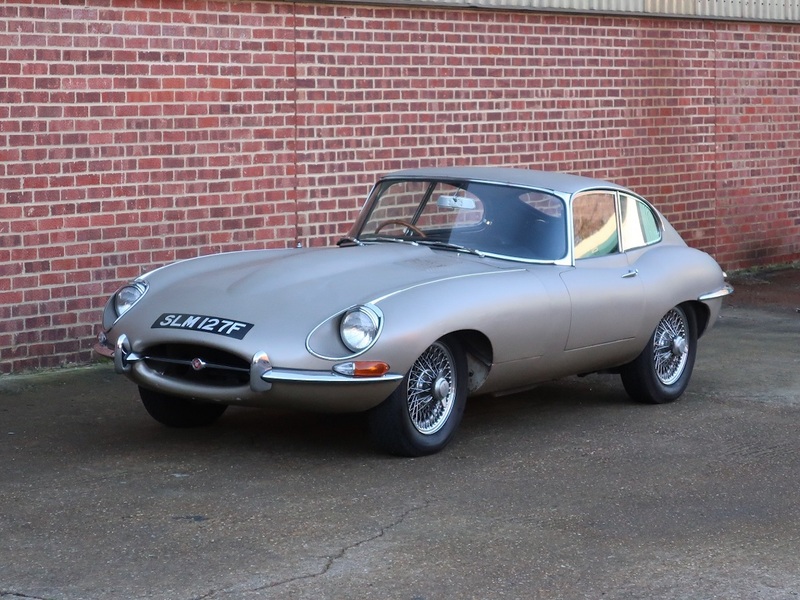 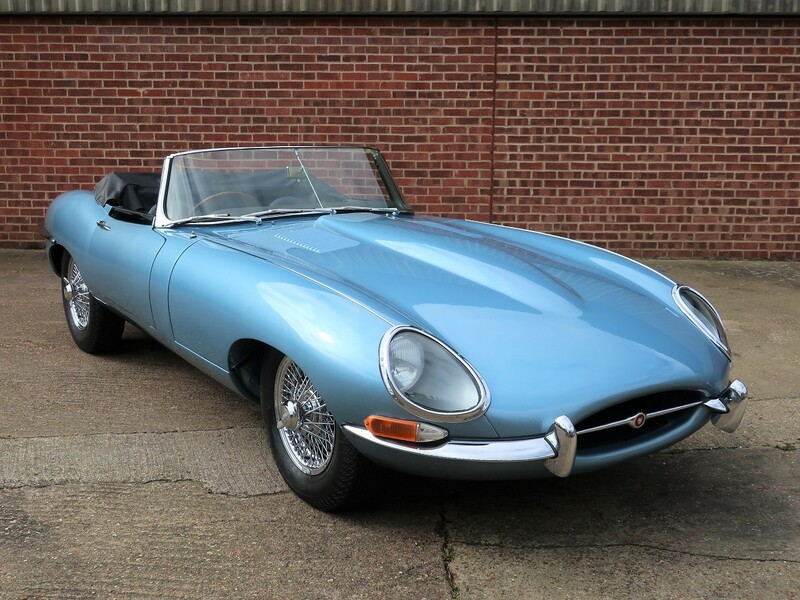 It is supplied with a JDHT heritage certificate, the original V5 logbook, the current V5C and the original Jaguar handbook pack including a service book that warrants the mileage. 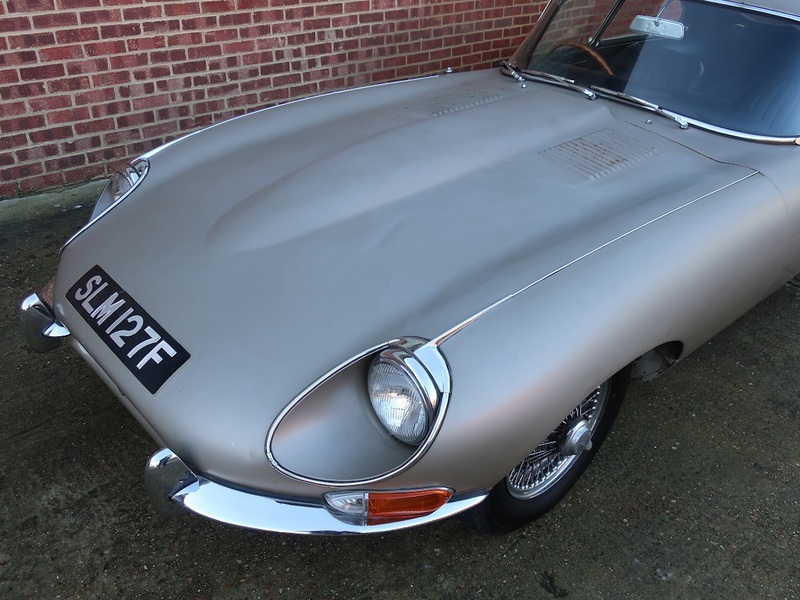 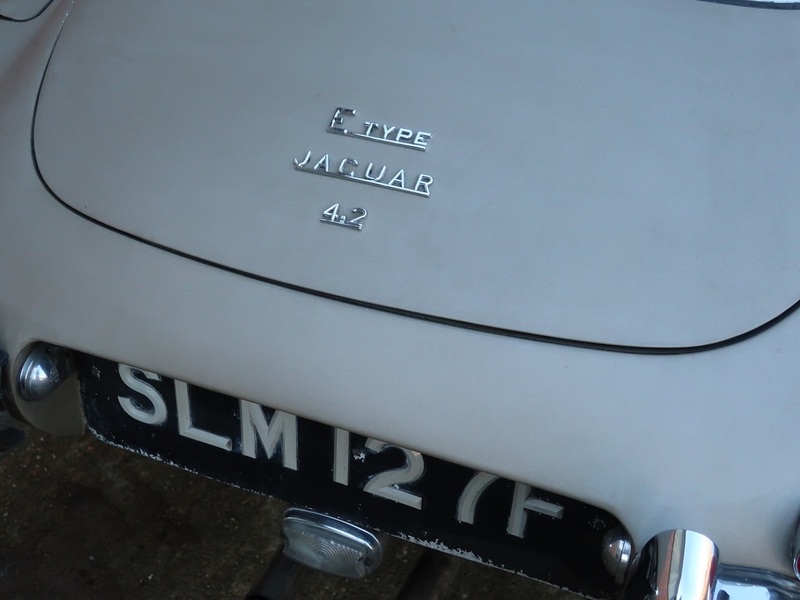 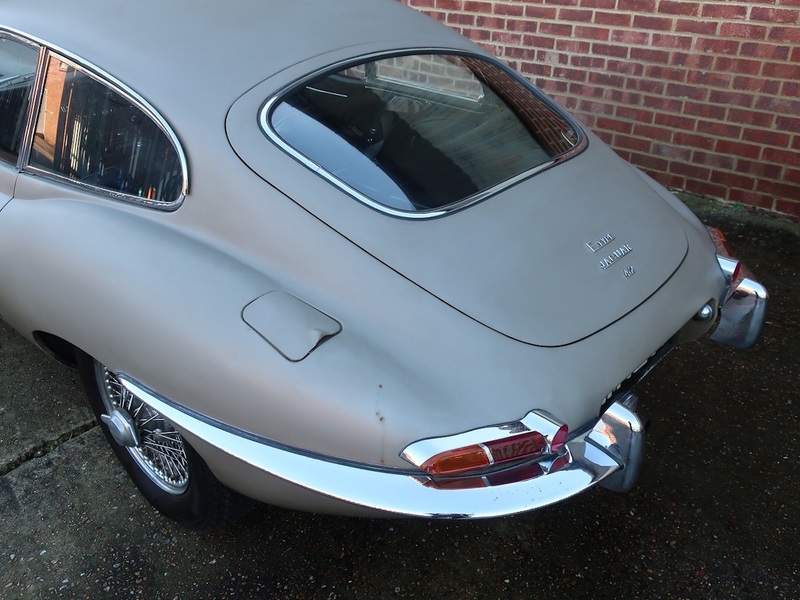 This is a remarkable car and an absolute dream for the serious collector as there just can’t be many E Type’s like this left to be discovered, unrestored but in amazingly well preserved order and in good driving condition it has to be seen to be appreciated, it is probably the most original E type currently for sale in the UK.